Imelda infront of her tent. What did you do with your wedding gifts? Many people hold on so dearly to their wedding gifts to the extent that some are kept as mementos for decades. But when ambition to start business itched her hard, Imelda Kahangire decided to sell her wedding gifts. She told Ultimate Media how her 'strange' decision has resulted into personal and family success and is behind many glorious wedding receptions in western Uganda. 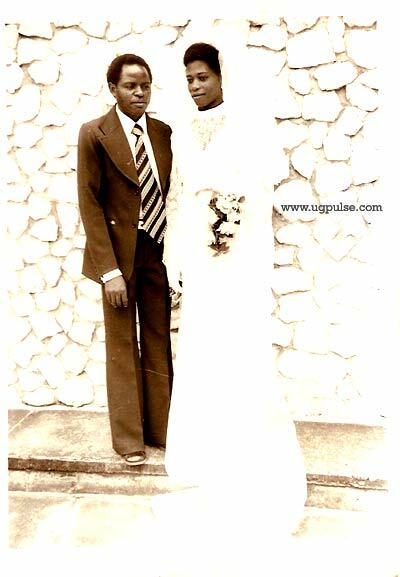 Imelda Kahangirwe's Wedding on 17th May 1980. Imelda got the wedding of her dreams when she married Johan Kahangirwe on May 17th 1980. It was a complete church wedding, with many guests and bounties of gifts. But the young couple needed more than Mr. Kahangire's earnings as an accountant in then Uganda Commercial Bank Bushenyi branch. That is why in the next year after she got married, Imelda joined Kabale Teachers Training College to further her education and be able to earn income and contribute to the family's well being. She graduated in 1984 as a Grade II teacher. 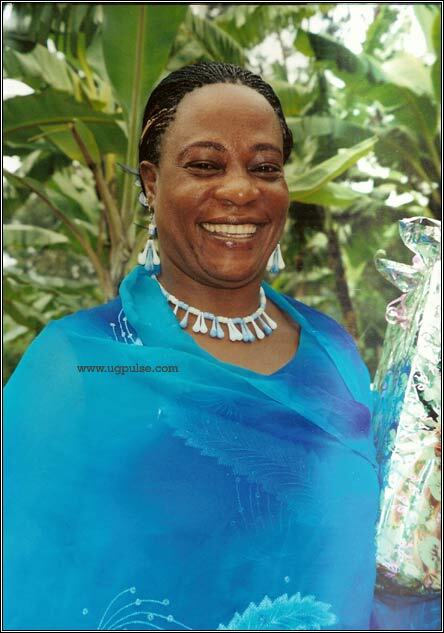 Because of her good performance, she was in 1986 offered a teaching job at Canon Teachers Training College in Ibanda. "It was a great achievement then to work as a tutor for teachers when you had just graduated as a teacher yourself," Imelda says. But with the monthly payment of 30,600 Shs, the salary was not encouraging for the kind of contribution she wanted to make to her family's needs. Moreover, the college she was teaching in was 10 kms from her home. Imelda had to be taken every morning on bicycle and brought back in the evening. "When I got maternity leave for my 2nd born in 1989, I decided to leave teaching and venture into business," Imelda says. Like many people intending to start a business, Imelda's major challenge was finding capital to start a meaningful business. In 1989, there were no banks offering loans to individuals like her earning 30,600 Shs. "After a lot of thinking, I realized that the greatest assets I had were my wedding gifts," Imelda recalls. She decided to sell off the wedding gifts (glasses, baskets, plates, mats, table clothes etc). "I added on my last 30,600 Shs payment from the TTC, rented a lock up next to Standard hotel in Ibanda and started a grocery," Imelda says. After she started the business, Mr. Kahangirwe left Bushenyi with the children to join Imelda in Ibanda. It was not easy for the family to survive in a new area. "Someone called Peter Baryakaijuka helped us with land and I first planted vegetables to boost my grocery shop," Imelda recalls. It was not long before people noticed the enterprising spirit and efforts of Imelda. When then Parish priest of Ibanda Catholic Church, Fr. Louis Tumwine called a meeting for Catholic Women who were enterprising and urged them to start Ibanda Women's Guild, Imelda was elected the General Secretary of the group. The busy activities of Ibanda Women's Guild did not in any way deter Imelda's business which continued to progress as she got more skills and networking with like minded people. By 1995, the family had started Karwe's Supermarket, the first supermarket in Ibanda town. By 1998, Imelda's business had expanded and she started offering bridal services. "I was offering gowns and decoration services in addition to the cakes. After sometime, I realized that my clients were finding hard time having their hair done from somewhere else and coming to me to dress them. I therefore started a bridal salon so that I can offer a client all the bridal services. From hair, bridal gown, the flowers to the cakes, Karwe's Bridal Salon started offering it all," Imelda says in an interview. Today, most big weddings in western Uganda are handled by Karwe's Bridal salon because Imelda has established it as a dependable service. When the Iremangoma (king) of Bukonzo, Charles Wesley Mumebe wanted to hold his royal wedding last year, Karwe's bridal services were sought all the way from Ibanda to go to Kasese and offer bridal and decoration services to the royal wedding. "From that decision of selling my wedding gifts, I have achieved a lot for myself and my family. We also bought land and built our own commercial building. We bought land out of town and started banana planting. We were able to properly look after our five children," Imelda says. Their eldest, Pius, has a Masters Degree, while Hilda, Patience and Peninah have finished Undergraduate degrees. "Our last born will join University soon. We also have an orphan, Atwine, who will be graduating soon," she says. Imelda was born in 1962 in Buhweju, Bushenyi district to the late Mr. and Mrs. Beyamba of Kyazura village. She attended several primary schools in Bushneyi and Kasese, following her brother who was a teacher, every time he was transferred. After stabilizing her businesses, she went back to school and got a Diploma as a teacher. This is in addition to the several trainings and capacity building seminars she attends in the church and different development related initiatives. "If there is something developmental, Imelda will be there," says Annette, who has worked with Imelda for long. Engaging in business opened many doors for Imelda so much so that today she is among the who-is-who not only in Ibanda, but south western Uganda as a whole. She is the first Chairperson of Ibanda Civil Society Network. Her organization, Ibanda Women's Guild is among the strongest on ground Community based organisations in the country. "I have managed to negotiate all the difficult times with relative ease because I have a wonderful husband in Mr Kahangirwe. My husband is like a father to me. He is always supportive and advising me in all I do," Imelda says. Kahangirwe says he was impressed by Imelda's hard work and persistence. "Sometimes she works till 4 am, especially on cakes. That is seriousness and determination that needs to be encouraged. She loves what she does and does it well with all her heart," Kahangirwe says in an interview with Ultimate Media. "If someone has a talent, you should promote it. Even in a football team, all of you cannot be strikers. You can play well and support your forward players to score," he says. Kahangirwe says many men are killing the talents of their wives in an attempt to domineer their wives or wanting to control their wife's businesses. "What is important is for couples to sit down and agree on issues through discussion. Because I have never been rigid on my wife as she did business and joined women empowerment groups, we have all benefited as a family from her successes," he says. Having achieved a lot since she started business, Imelda would be a perfect happy woman, if not for the loss of her dear brother, Polly Karyentabira. "That was a turning point for me. He was not just my brother, but my mentor, my advisor, my father. He is the one who advised me to leave teaching and try out business if I wanted to succeed. He died so suddenly. Every day I work hard not to disappoint him," Imelda says. Imelda's entrepreneurship has not benefited her and her family alone, as she has shared it with many of her fellow members in Ibanda Women's Guild and the Ibanda community. "When we first formed the group, we received numerous training in group dynamics, leadership, project management and how to ensure good families. We started a music dance and dram club where we would perform at functions for money," Imelda says. Ibanda Women's Guild also started a massive tree planting campaign, which attracted many people to them, including President Yoweri Museveni. "We had planted trees at schools, administrative units, and when the President found out, he gave us a grant of 10 million shillings. The President also gave us 10 cows under the poverty alleviation project, which we shared among the members. He also ordered the RDC to give us land to pant a big forest. We were given 11 hectares and we planted all of it with trees," Imelda says. Her conviction that good things come to those who venture paid off soon. The National Environmental Management Authority joined in and taught them about tree nursery management. "We have planted millions of trees. Every member of Ibanda Women's Guild has also planted trees in their home, in addition to being trained in business skills," says Imelda, who is the current Chairperson of the group. 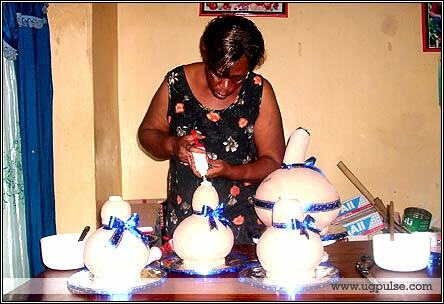 Apart from planting trees, Ibanda Women's Guild started other income generating activities. "We built a building in Ibanda town. We have there an 100 capacity hall for hire. We bough 500 plastic chairs and 2 tents for hire. We rent part of the building and use part of it as our office," Imelda says. She attributes all her success today the decision to sell her wedding gifts. "My goal now is to extend my bridal services to Kampala," she says.